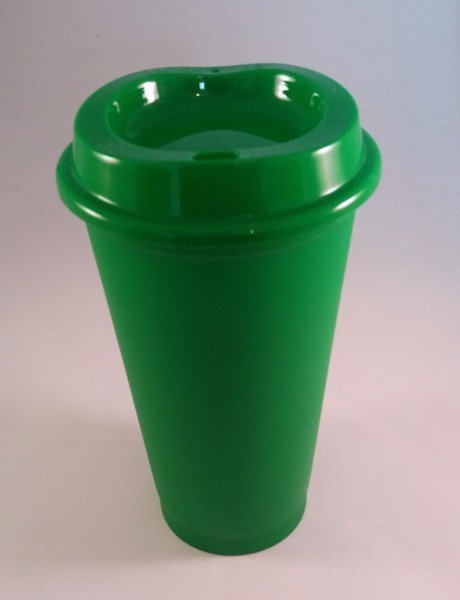 Happy Green cups - "Green" to the sight and environment! 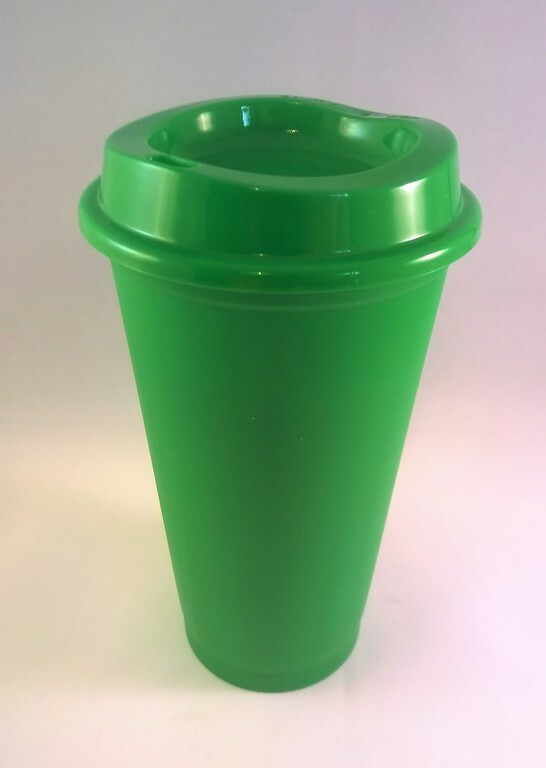 By purchasing a Happy Green Cup you are doing as much good for the world around you as you the hot drink you fill it with is doing for you! 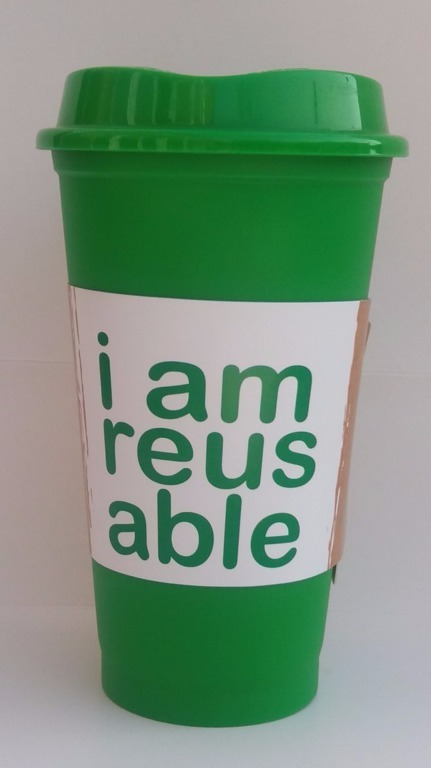 You save money - currently Costa and Starbucks offer a 25p discount on drinks purchased in a reusable cup! The cup is cheerful, bright, elegant, simple, non branded, and fits nicely into most palms! Be an eco-trend setter show you really care about your planet and its future. The cup is very Giftable! Makes a very cool, original, unusual and useful gift. 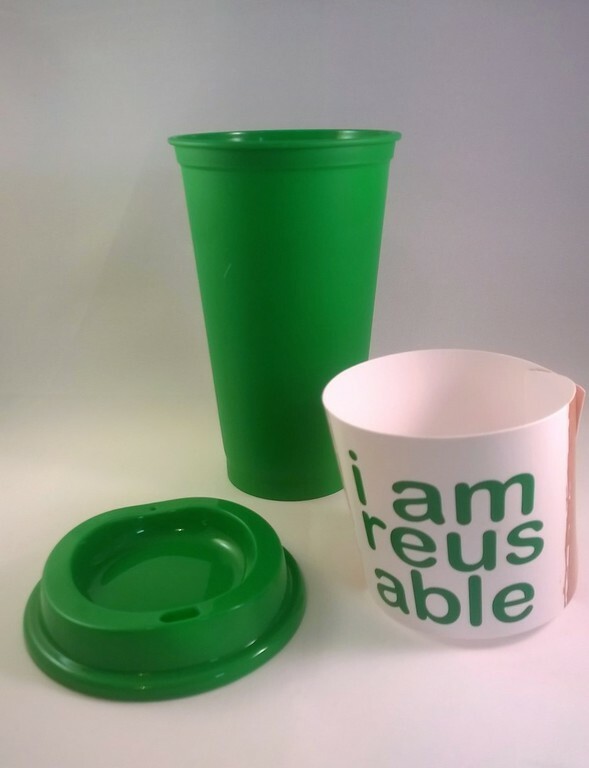 Made of - Sturdy, lightweight BPA-free plastic (BPA can have negative health effects). Is recyclable. 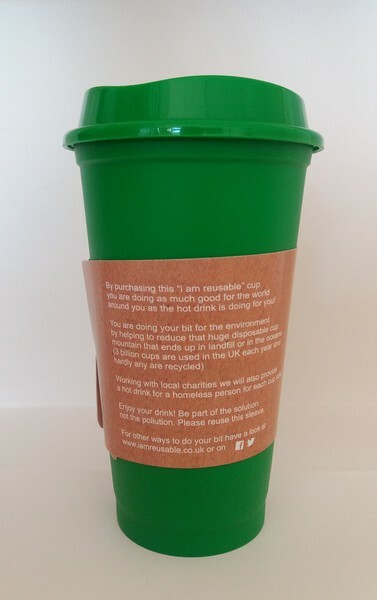 So as not to add to the pollution problem the cups are sent in minimal, earth-friendly, recyclable packaging. We believe in charging you a fair amount for P&P. Note - if you live locally ( York) you can pick one up postage free! For full postage rates click here. All items sent out by Second Class Post which should arrive within 3-4 days.